It may be Saturday…but Sunday’s on the WAY! Holy Saturday, Saturday before Easter, Black Saturday, Easter Eve. I can’t imagine how bleak and dark this day was for the followers and especially the apostles of Jesus. Can you imagine how Peter was doing? 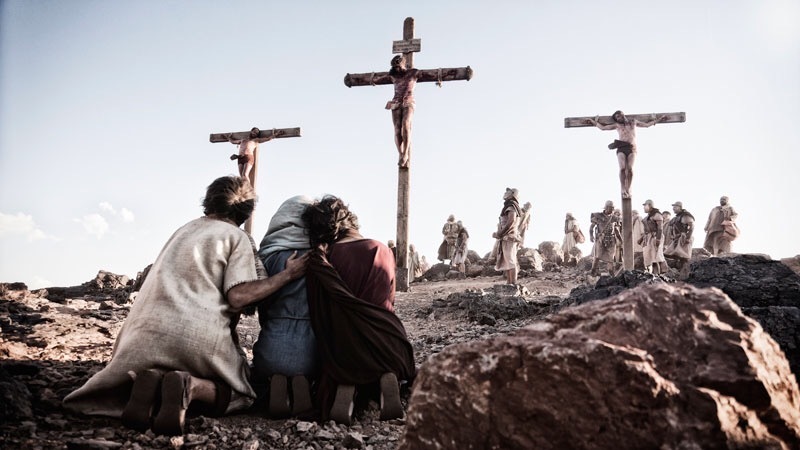 He had denied His own Lord and Savior and wasn’t even present at Calvary to see Him die. We all know how Judas handled his betrayal of Jesus. We know John the loyal, steadfast one was the only apostle to remain with Him. We know Mary, Jesus’ mother, was there as well. But what I really want to know how Mary, his mother, was doing. After all, she was the only one who truly knew (because of solid proof) that her son WAS indeed the Messiah. 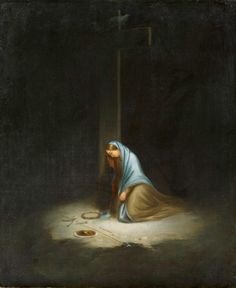 The human side of Mary had to be wracked with grief because of the agony of watching her beloved son and Savior die in the most gruesome of ways.. and it was because of her. Because of ALL who would follow her. Because of us. We know she pondered things in her heart because the Scripture tells us this. Parents can be so hard on themselves when they make a mistake with their child. 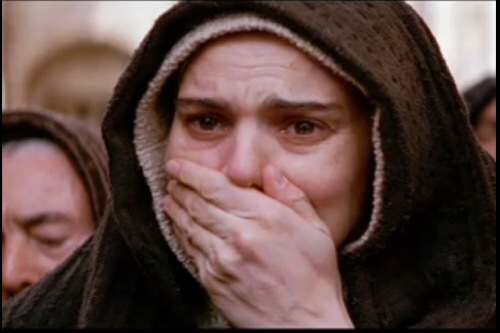 Can you imagine the fight between Mary and Joseph when they both realized they had left their son, you know, only the Alpha and Omega, behind at the temple? How many times have I forged on in my life when things were good or I was busy, and left Jesus behind. Remember, Jesus was the only perfect member of that family…not his parents. Then again, I am almost glad that we don’t know what Mary was doing. Maybe she was holding a Prayer Vigil with her closest family and friends. Maybe she was pleading with them to have hope, because He did exactly as the Scriptures foretold and all has come to pass. But, somehow, I revel in the fact that Mary is a lot like all of us. Sometimes when we know something without a shadow of a doubt, the enemy still tries to make us doubt. Grief is blinding to every sense in your body. It would be perfectly acceptable for her to be inconsolable and alone, deep in sorrow. It’s hard for us to imagine because we know what happens on Sunday. What about the situation you are facing, have faced, or will face soon? When you don’t know what the test results will say when they come back. When you aren’t sure your child is going to make it. When there’s no telling what will happen…the middle battleground. The Black Saturdays of our lives are the days of the unknown. I personally believe that these are the reason faith is called a fight. It is a massive war on these days. If I am not armored up and prayed up, I am in trouble. My attitude will sour, my thoughts are more negative and my soul gets downcast. Even when I know, I have Victory in ANY situation because of what Jesus did and endured for me on Good Friday. Sometimes, we just have to give our deepest sorrows, regrets, failures and grief to the One who bore them already. He wants to take them from you. He KNOWS how heavy it is to carry all the baggage we lug around our lives. He lugged a cross that was heavy all on its own, without the sin of the world, all the way to Calvary. He finished it. Can we finish it? If we can, we give our Savior the most beautiful gift that we will never get to give Him on the other side of Glory. No angel can provide that kind of worship to Him. Only the people He created out of His own image can offer Him the kind of surrender and love that we can give… if we choose to. And that is why it is such a beautiful gift for Him to receive. It is because we choose to, out of the free will that He gave us. 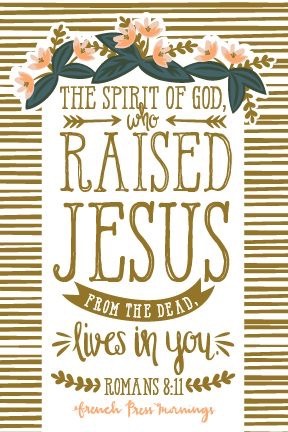 Just like He chose to give His life for us. Sunday’s on the way in the weakest areas of ourselves. Sunday’s on the way for the hurting. Sunday’s on the way for the brokenness. Sunday’s on the way for the lonely and the downcast souls!!! Watch out devil, because Sunday’s on the WAY!